We offer on-site product development and strategic partnerships with industry-leading food scientists and packaging experts. We deliver consistent, high-quality products through our SQF level 3 excellent-rated, organic-certified facility. We can support your unique manufacturing needs with flexibility in process, product, size, quantity and distribution. We partner with you from concept to full production. Our AirTight™ Project Management Process ensures timely, successful first production runs. DLT specializes in the production of liquid food and beverage products including syrups, cocktail mixers, sauces and isotonics. Our primary objective is to produce the highest-quality products possible while delivering a vastly superior customer experience. 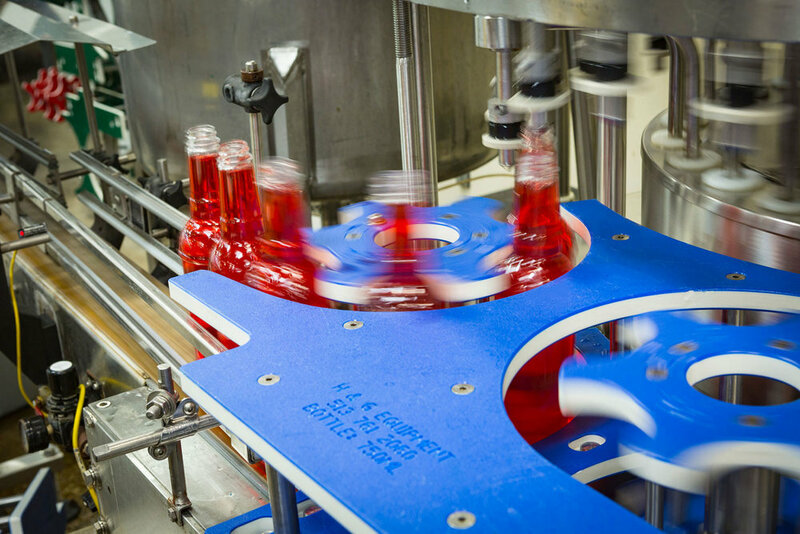 DLT specializes in the production and packaging of nearly any type of liquid-based food or beverage. More importantly, we are very flexible in terms of process, product, size, quantity, distribution, etc. We’re able to make promises to our clients – strong ones – because our people have the ability to deliver on them every day. We realize we’re in business FOR our customers, not the other way around. Customers have told us that they don’t have anyone they depend on like they do us and we take that reliance very seriously.